Trading from the convenience your mobile phone is what lifestyle trading is all about. This video course shows you exactly how to set up charts on your phone so you can check up on the markets from anywhere — and how to enter and exit trades. 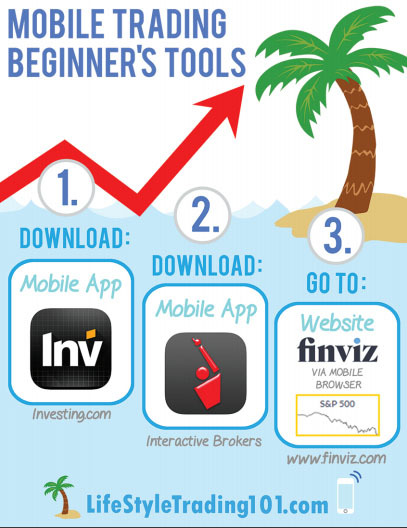 Be sure to download the investing.com mobile app for iOS and Android. In these videos, we use Interactive Brokers for demonstration purposes, but you can use any broker that allows you to trade options. How To Close Out A Trade On Your Phone How To Check S&P500 Charts On Your Phone How To Check Stock Charts On Your phone Fed Announcement, Wednesday, December 16, 2015 – Which Count?